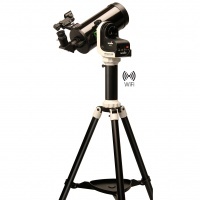 The AZ-GTi and SynScan App provides full computerised GO-TO control! 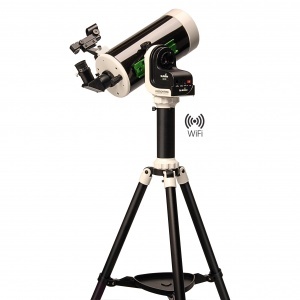 After entering your coordinates into the App and following a simple alignment procedure, you are ready to explore the universe! 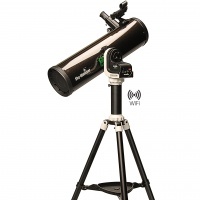 With an extremely useful 130mm of light gathering aperture and a superb parabolic primary mirror, the EXPLORER-130PS is a highly capable all-rounder. 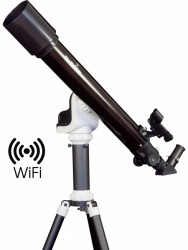 The STARTRAVEL-102 is a two-element, air-spaced achromatic refractor and a well proven performer for ‘Rich-Field’ views of comets, star fields, star clusters, nebulae, bright galaxies & planets, the Moon and the Sun (with proper safety filtering!). 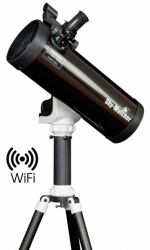 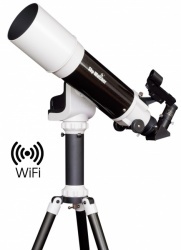 The highly portable Sky-Watcher MERCURY-707 (AZ-GTe), has been designed to be controlled wirelessly with your Smartphone or Tablet, using the free SynScan App for iOS or Android.